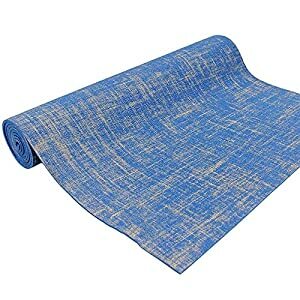 (Comes with Carry Bag and Straps) ✅[High-Density Foam] 100% environmentally friendly high density material providing greater durability that lasts for life. 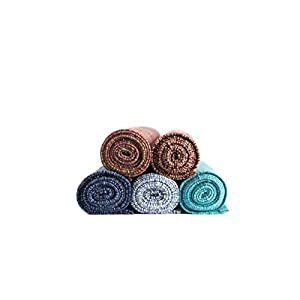 A guaranteed 6mm thickness yoga mat designed for extra comfort and providing a cushioning effect between your body and the floor. 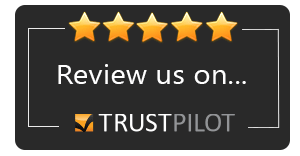 ✅[100% Money Back Guarantee] We believe in our product so much that we provide a 100% no obligation money back guarantee. Simply open a returns case and follow the instructions. ✅[Good Traction] Carefully designed to provide good traction whilst you’re performing yoga exercises. Why 100% 6mm Thickness Guarantee ? This is because many sellers are advertising a 6mm mat but upon closer inspection customers find it to be between 3mm- 5mm thick. We can proudly confirm that our Product is the much better grade 100% 6mm thick. Why the small logo now ? 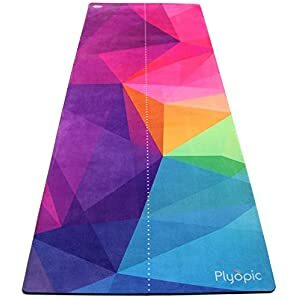 Many yoga mats are emblazoned with big logo’s which do not look great or commensurate to the size of the product. Acting upon customer feedback and market analysis, we have reduced the size of our logo and it is now significantly smaller but aesthetically pleasing on the eye. 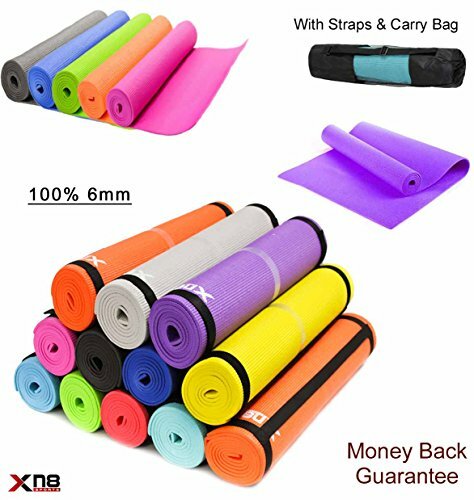 Xn8 Sports Yoga Mat is 6mm thick and provides excellent comfort and shock absorption; thus protecting your knees and feet and making it suitable for a number of different fitness activities in addition to yoga. This is a perfect companion for use with training exercises at home or in the gym. Featuring a light weight design with easy to carry handles, you can now to take this to your yoga, pilates or any other fitness classes. To help protect the environment this product is packed in biodegradable plastic bags. ✅[Improved Balance] The soft surface lets your feet sink just a little bit, giving your feet greater support and stability. 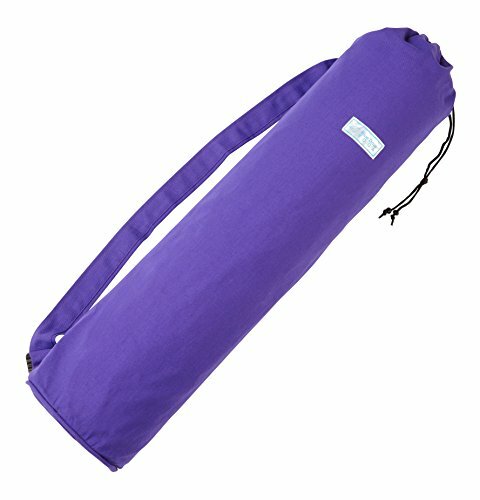 Perfect for professional gym and home training, and equally ideal for camping and picnic uses. ✅[Compact Design and Storage] Compact size and easy storage are additional key benefits. You can carry the mat easily in its carry bag. Lightweight design for easy transport and storage.